Butternut squash is one of my favorite fall vegetables. This butternut squash gratin features one of my favorite flavor combinations: butternut squash, browned butter, and sage. This recipe is a little bit healthier than the average gratin as it contains milk instead of cream, which was thickened with white whole wheat flour. I am sure regular all-purpose flour would work well too, but we are trying to limit our grains to whole grains. Honestly, the cream sauce here based on the one I use for my macaroni and cheese, and I totally couldn’t tell that the flour was different. So, whole white wheat is going to be making more frequent appearances in my recipes. This recipe is actually pretty quick. I microwave the butternut squash before I peel and cut it, which saves an enormous amount of time for me. As embarrassing as it is, I have a really hard time cutting butternut squash. I just don’t have very strong hands. But, if you prick the skin with a knife and microwave it, butternut becomes tender and easy to deal with in no time. Not to mention, it is cooked. I mean there is no roasted or boiling or anything, it is already cooked when you peel it. In the recipe, I used right at four pounds of squash. This will probably be at least two squash for you, but for some reason our grocery store only had really huge squash, so I only used one. Prick squash with a knife and microwave on high until tender. Mine took about 15 minutes, but I had one squash that was four pounds by itself. While squash is cooking, cook butter over medium heat until browned. Stir in flour, until smooth. When squash is cool enough to handle, slice in half and remove seeds. Slice each half into thin slices. Layer half of the slices in a baking dish, cover with half of the sauce and sprinkle with 1 teaspoon of the sage. Bake for approximately 15 minutes or until bubbly. 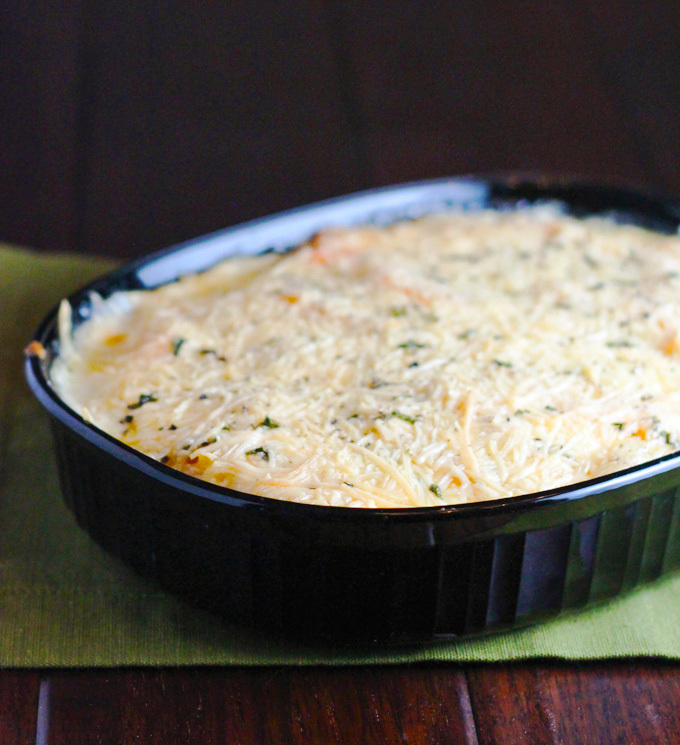 Remove from the oven and top with Parmesan and remaining teaspoon of sage. Return to the oven and bake until cheese is melted and just beginning to brown. 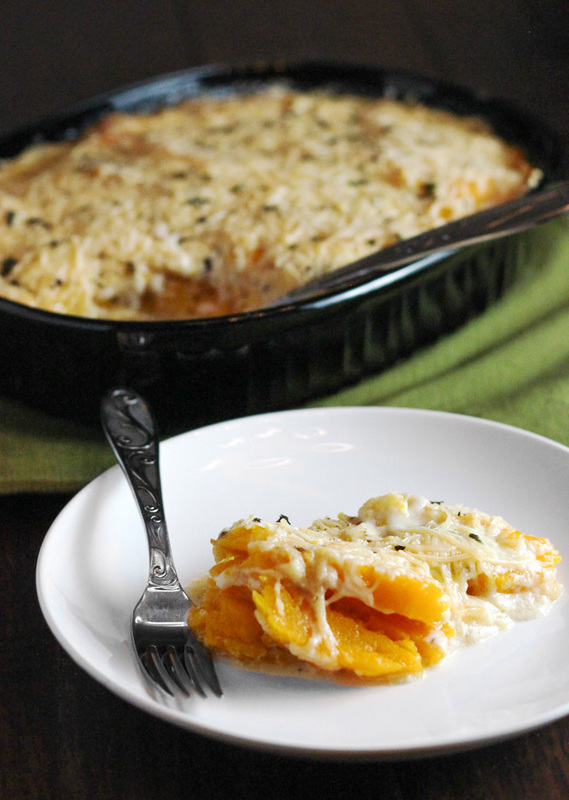 Can’t wait to try the Butternut Squash Gratin…sounds delicious, and we love butternut squash!